Mark obtained undergraduate and graduate degrees from York University. He graduated from Osgoode Hall Law School in 1995, where he received the Lloyd S.D. Fogler award for excellence in research and writing. Mark is a well recognized and seasoned subrogation lawyer. He has practiced subrogation almost exclusively for the past 20 years. Mark’s innovative and focused approach to subrogation has resulted in very significant recoveries for his clients. Mark represents clients throughout North America on a wide range of subrogation and product liability cases. He has trial, appellate, arbitration, and mediation experience, and has acted as counsel in matters before all levels of court in Ontario, the Supreme Court of Canada, and various administrative bodies and regulatory tribunals. Mark is the co-Chair of the Canadian Chapter of the National Association of Subrogation Professionals (NASP). 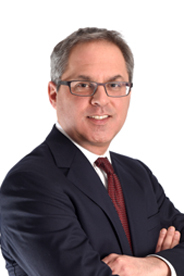 Mark has written extensively and spoken widely on subrogation and related topics. He has acted as counsel on some of the most important subrogation court cases in Canada.